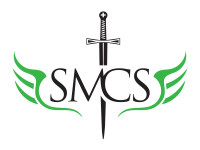 St. Michael Catholic School is a TCCBED accredited, TEA approved facility that offers students a challenging academic curriculum and intellectual formation integrating faith, culture, and life. Our mission to be friendly, respectful, responsible, and Christ-like helps us stress the importance of self-discipline, good manners, and responsibility. Small student-teacher ratios allow our students to achieve their best academically and become productive leaders in the future by developing their God-given gifts and talents.